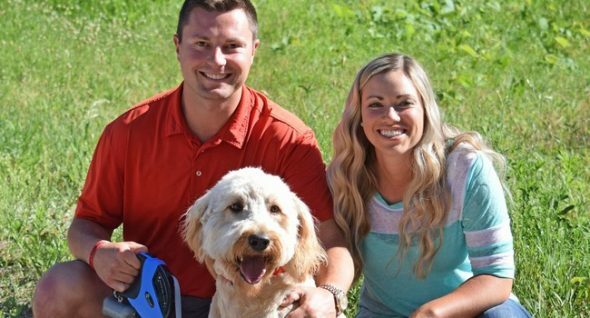 Buddy the goldendoodle has found his forever family! Not long ago, we told you about Buddy, the dog abandoned outside the Henry County Humane Society in Geneseo, IL. 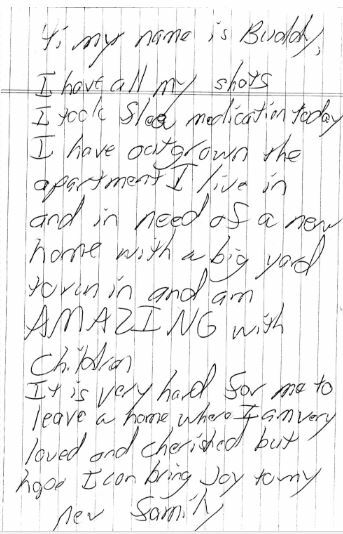 Along with him, a sad note from his former family, explaining how he had been “loved and cherished” and how they hoped he would find a new family to love him. His story went viral, of course, and now he belongs to Sara and Aaron Hogan, a Springfield couple who come complete with a new fur sibling: a Maltese/poodle mix that looks quite a bit like a mini-Buddy! Choosing a family for Buddy wasn’t easy. With a story that took the Internet by storm, a host of applications came in from all across the country. As we reported in our previous story, Diehl hopes that Buddy’s happy ending will spread to all the other animals whose stories are lesser known. Want to make a donation to Buddy’s Playpen? Click here and select “new shelter” during the process. Don’t forget to honor Buddy and check out all the wonderful adoptable dogs while you’re on the site!